Hey ya’ll! My name is Megan. I’m 26 years old. I am from Alabama, but I live in Missouri currently. I live with my handsome, Irish husband, Alec and my long haired chihuahua named Padme! I’m a 2D/3D artist hybrid by day. By night, I am a geeky gal, the blogger who has her hands in all things geek including gaming, cosplay, tech, fashion, and reviews! I’m up for it all: traveling, conventions, cosplaying, reviewing new and popular products, interviews, meeting anyone from celebrities to small town cosplayers to people like you, my readers. 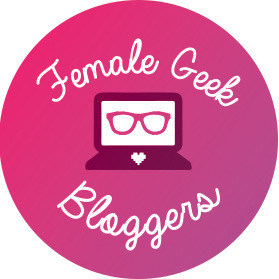 Thank you for your interest in becoming a sponsor of A Geeky Gal! I am interested in all things geeky, but specifically: geek fashion; geek beauty; geek technology; home decor; crafts; games for PC, Steam, PlayStation; visual novels; animated shows; geek culture conventions; geek food and recipes. I will only accept products that fit into the niche of A Geeky Gal blog. You can email me at megan.price@rocketmail.com with any questions you might have regarding sponsored posts, reviews, giveaways, ads and/or campaigns. A sponsored post is when a brand approaches me with a product or service, often for me to try out and review. They are looking to highlight their product in a dedicated post where I am compensated for featuring their brand, product or service. I only accept these sponsored posts if I really love, trust, and 100% stand behind the brand and product. I only accept things I think are awesome, fit within my blog niche, and that I think you will love, too! I will ALWAYS let you now when a post is sponsored. I am currently a participant in the Amazon Services LLC Associates Program and the Target Affiliate Team, affiliate advertising programs designed to provide a means for me to earn fees by linking to Amazon.com, Target.com, and other affiliated sites. Affiliate links place a cookie on a reader’s computer for 30 days. If you follow a link and make a purchase within that 30 day time frame, I will be compensated a small amount from a third party. It does not affect your purchase whatsoever! There is absolutely no additional cost to you! Think of it like a tip jar, but instead of you tipping, the brands are tipping me in your place, but you still get the good karma for clicking my link! I’m an affiliate for Adorned by Chi. A small compensation comes from all sales that use my code. Use code AGEEKYGAL for a special discount on your order. I’m now an affiliate for Poshmark. A small compensation comes from certain actions I take such as posting on social media, YouTube, or my blog. All posts such as these will be marked as an ad as per Poshmark’s guidelines. Any blog posts will have a *Disclosure attached to them (see below). Sometimes a brand will want to rent out a small piece of real estate on my blog. I have a dedicated space on my sidebar where I host ads. Just like my sponsored posts, I only accept ads from brands and companies I like and believe are useful to my awesome readers and visitors! THANK YOU for checking out my blog, and please share if you like what you read! I keep all of my social media updated with the newest blog posts so follow those to keep updated! Hi Megan! Always happy to meet another fellow fangirl! What are some of your favorite fandoms to geek out over? Hi Jade! There’s so many fandoms and I keep adding more! Top faves of all time? Probably Doctor Who, Sword Art Online, and Disney. ❤️ Thanks for visiting my little blog! Hi Pedro! Thanks for stopping by! Looking forward to reading your blog!